With the new year comes a new beginning for me. This blog is just one of the many new experiences I am looking forward to engaging with. So what is this 'new beginning'? Well, it basically comes in the form of a radical career change. In June 2011, after a fifteen year career as a teacher and principal in a small public primary school, I decided it was time to call it day. It was time to leave the daily grind and stress behind and pursue a new direction. No more wasting time writing policies that no one is interested in reading, cutting through red tape and endless, pointless paperwork and being a nameless, faceless little cog in a huge political machine. Time to be my own boss, set my own direction, play by my own rules. So what is the grand plan? I guess the plan is not an unfamiliar one to the millions of passionate crafters out there...my great ambition is to now establish my own little business whereby I turn my love of crafting into my livelihood. I have always considered myself a 'crafty' person - and no I don't mean that in a sly, sneaky sort of way! ;) Even as a child I was always experimenting with new crafts during school holidays. I am fortunate to have a very talented and patient mother who spent countless hours teaching me to sew, knit and crotchet. I have carried these skills into adulthood and continued to create through these mediums - unfortunately indulgences in these pastimes continued to only occur during school holidays! My interest in creating things from scratch has led me to teach myself the skills of applique, patchwork and quilting - something I enjoyed sharing with my students when the opportunity arose. I have managed to complete a number of quilts over the past few years (all but one as gifts for family members' birthdays or anniversaries). I did the smart thing as a beginner and purchased quilt kits with all the pre-cut fabric, patterns etc as I'm definitely not one to have confidence in my abilities before test-driving a new craft. However, after the first kit or so, I had a very strong urge to design my own quilts. So I plunged right in and created a photo memory quilt (nothing like starting with something simple!) for my parent's 50th wedding anniversary. Since then I have continued to create my own designs with only the occasional creation coming from the wonderful Australian Patchwork and Quilting magazine and those talented quilters featured within its pages. Patchwork has been the most surprising interest area for me as I could never understand why anyone would want to cut up a whole bunch of fabric only to sew it back together again! Who knew it would be so addictive! I have also allowed myself to indulge in cross stitch and tapestry, both of which I enjoy immensely as they have provided a great deal of stress relief and relaxation. I guess I have a definite penchant for needlework! Oh, and did I mention that I make candles too?! Many moons ago I experimented with this craft using paraffin wax and while the candles turned out okay, I wasn't fussed with the kind of wax or the poor quality fragrances I was using. So I left this craft to rest for a few years however I have returned to it once again now I have found the wonderful variety of soy and palm (sustainable of course!) waxes. I am absolutely loving the creation of both container and pillar candles with a wonderful array of beautiful fragrances and essential oils. 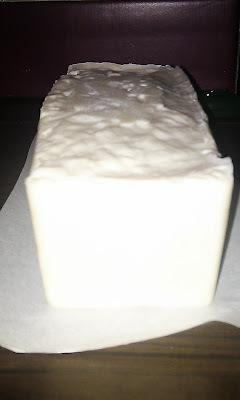 Early in 2011 I decided I would give soapmaking a go. I played it safe and started with the easy melt and pour kits and found I enjoyed creating these simple little soaps. Of course after a couple of goes at this I felt I needed a greater challenge and so after studying all the information I could get my hands on, I gingerly attempted my first cold processed soap. Needless to say, I WAS HOOKED! I absolutely love the process of creating a luxurious bar of soap all from natural ingredients. So as my dissatisfaction with my career grew, I started to consider that I have a wide range of skills that I could put to good use. I was sick and tired of not having the time nor energy to engage in my creative pursuits, except for school holidays, so my thoughts turned to what it would be like to do what I loved everyday. And hence I made the extremely difficult (and rather brave) decision to leave the safety of a well established career to pursue the establishment of a small business. And I guess that brings me back to where I am right now, beginning this journal. Over the past couple of years I've spent countless hours surfing the web, gathering information and enhancing my personal learning. Despite being technologically savvy, I have never bothered to engage in 'blogging'. So I have decided that blogging is a must-have new experience. I hope this forum will enable me to 'journal' my new experiences and track my new learning journey, and hopefully share with others some common interests. As this new year begins, I am for the first time in a very long time, excited about what lies ahead of me. I know it has only been a few days since I launched my blog, but I have to say I'm so excited to have finally done it! Starting a blog is just one a large number of things on my 'to do' list now that I have my life back. Six months down the track from regaining my freedom, as I've come to think of my decision to leave my career behind, I am amazed at how many things there are to squeeze into a day, and just how much energy I have to get stuck into them with. Certainly a far cry from where I've been for the last few years. 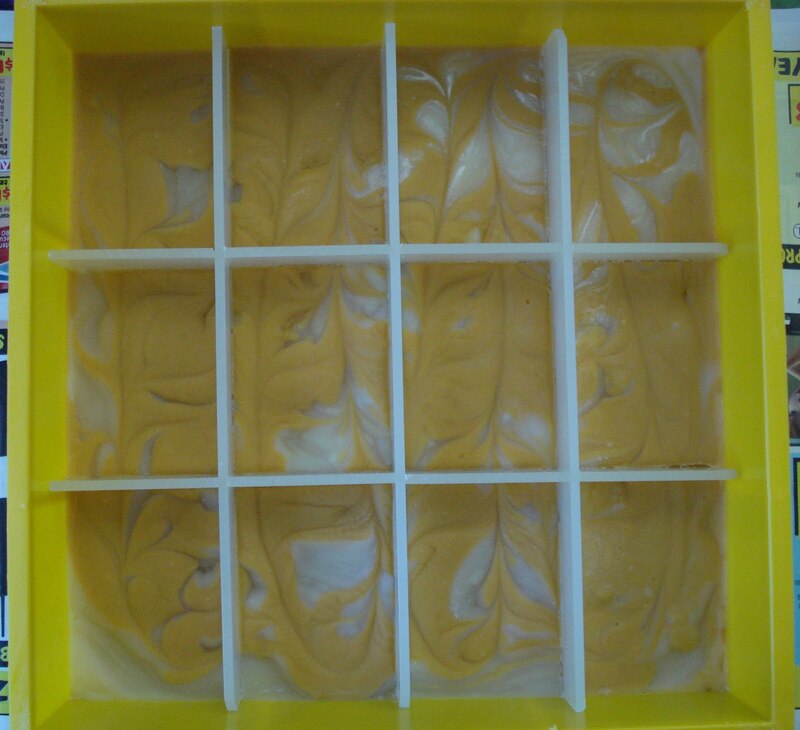 So, as I mentioned, starting a blog about my soapmaking journey is something I have been wanting to do for a while. Of course, my perfectionist nature ensured that I did more research than just reading a book about blogging. As I was not really familiar with the blog concept, I decided I really should check out some blogs and see just what the attraction is. Over the last few months I've been scouring the internet in search of some good soapmaking blogs and I have been amazed at just how many there are! I have also been totally awestruck at the incredible variety of handcrafted soaps there are and the amazing creations these talented artisans have come up with. Needless to say, I've become a follower of a large number of handmade soap blogs! One thing I have found comforting in reading through the various blogs I'm following, is that I can relate to many of the ideals and insecurities their authors discuss. It seems that being confident about your own abilities and the quality of the things you produce, is not something that comes easily to many of us. I guess it's the fact that you are putting a part of yourself out there to be judged by the masses - a bit like authoring a blog! To date, I've only been able to read top to bottom through the entire blog archive of two Aussie soapmakers' blogs - both of whom I've found to be totally inspiring. I have to give a shout out to Simply Soap and A Handmade Soap Blog authors and say that I'm enjoying your posts immensely. @Gabby (Simply Soap) - I've really been enjoying your posts and can relate to many of your 'considerations'. I feel we would have many things in common. Your soaps are absolutely gorgeous! I'll continue to follow with much interest! @Roxta (A Handmade Soap Blog) - I began following you just prior to the launch of your online business and I was astounded at how quickly you went from decision-making to launch (about 1 month I think!)! I can only aspire to be that assertive and confident when it comes to launching my site! Congratulations - your website looks fantastic!! And of course, your soaps are awesome! As a relative novice soapmaker, I believe I have a great deal to look forward to as I work towards launching my own little website! I have so many things still to learn but it is a journey that I'm really keen to progress. 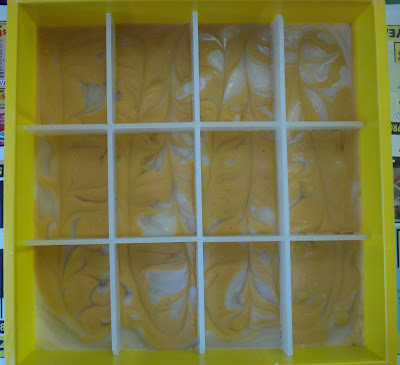 After making my first CP soap over Easter in 2011, I had a rather long spell of 'nothingness' in terms of creativity due to 'happenings' on the career front. I did however launch headlong into soap and candlemaking just before Christmas...but that's a tale for another day!